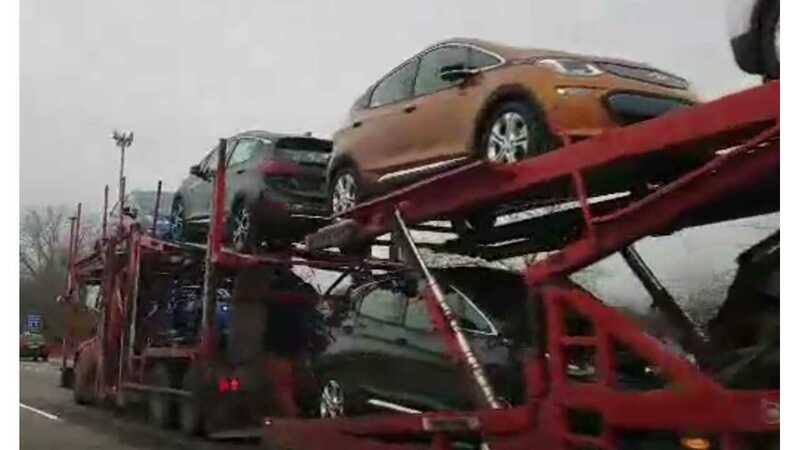 In late December, when Chevrolet Bolts began arriving in California, dealerships had pre-arranged sales of basically almost all Bolts before they even hit the lots. "A phalanx of Bolts -- the just-released 230+ mile range $37K MSRP electric crossover -- were already spilling onto the lot. The spillover had just started to happen, according to the salesman. Until a few days ago, Bolts were being purchased as fast as they arrived." That's good news for potential Bolt buyers who will now have the opportunity to check out more than just the demo Bolt at the lot. Forbes visited Rydell Chevrolet, a Los Angeles area Chevy dealer who is believed to be the highest volume Volt dealer in the U.S.
"And beyond the Bolts was an inventory of Volts that extended to a vanishing point. I counted about 15 Bolts (including those waiting to be picked up by buyers) and was told that there were roughly 60 Volts on various Rydell lots." The Forbes articles goes on to explain that your experience will vary from dealer to dealer. The author recounts a recent visit to a Chevy dealer in the Philadelphia area. That dealer had just one Volt on the lot. 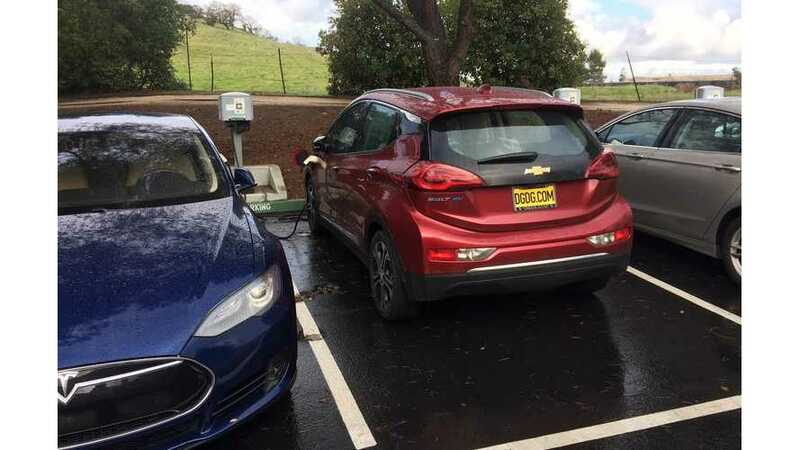 Back to Bolt inventory...Production has been ongoing since October, so we really do expect to see Bolts in volume throughout California and Oregon and hopefully sales figures for January confirm that inventory is in place and the Bolt is an early hit. Really, this is an ideal time to launch as new all-electric car, as it opens up the car for wider availability as January is traditionally known as the 'graveyard' month for EV sales after the December year-end federal incentive rush (check out previous year's month-by-month totals to see what we mean on our Monthly Plug-In Scorecard here).